In this series of artwork and photographs, Kristin Johnson’s art panels and sister Dana Johnson’s images evolve into A World of Colour. 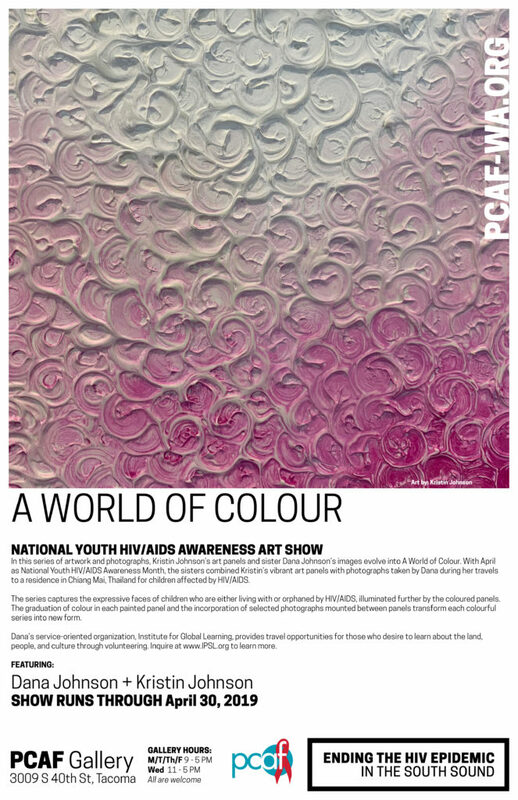 With April as National Youth HIV/AIDS Awareness Month, the sisters combined Kristin’s vibrant art panels with photographs taken by Dana during her travels to a residence in Chiang Mai, Thailand for children affected by HIV/AIDS. The series captures the expressive faces of children who are either living with or orphaned by HIV/AIDS, illuminated further by the coloured panels. The graduation of colour in each painted panel and the incorporation of selected photographs mounted between panels transform each colourful series into new form. Dana’s service-oriented organization, Institute for Global Learning, provides travel opportunities for those who desire to learn about the land, people, and culture through volunteering. Inquire at www.IPSL.org to learn more.